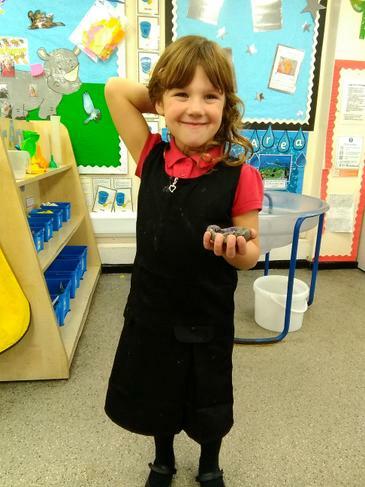 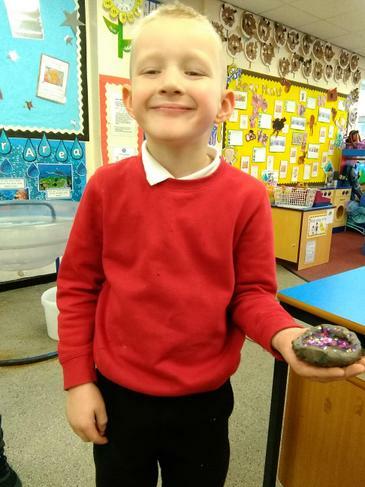 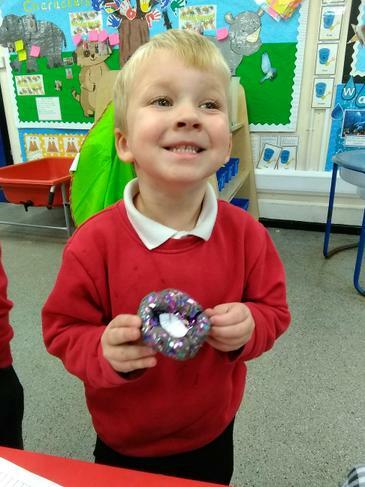 At the beginning of the children's learning adventure the children received a message from Topsy and Tim that they had a friend who celebrated Diwali, but that they didn't know what it was. 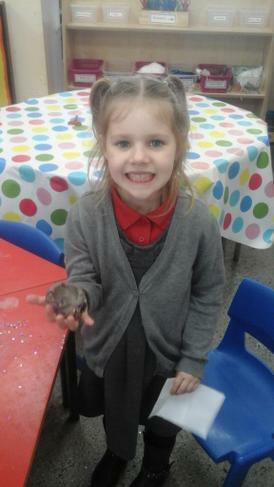 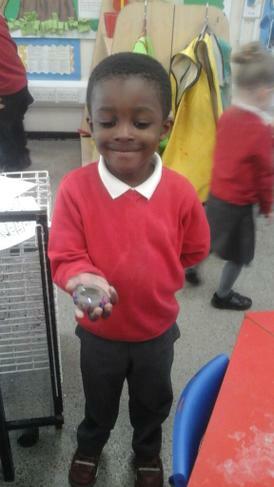 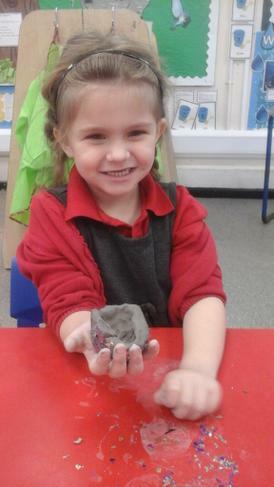 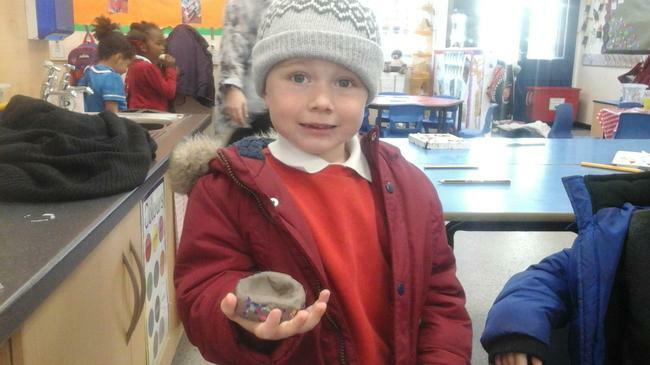 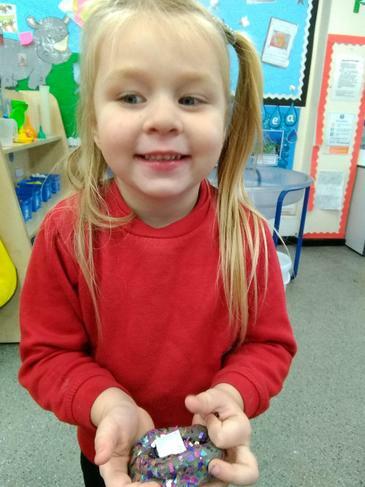 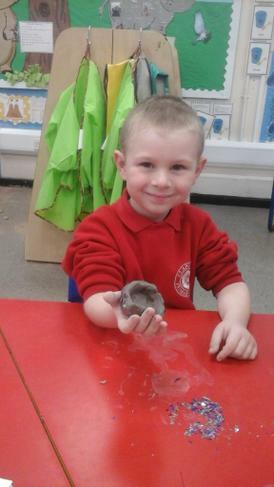 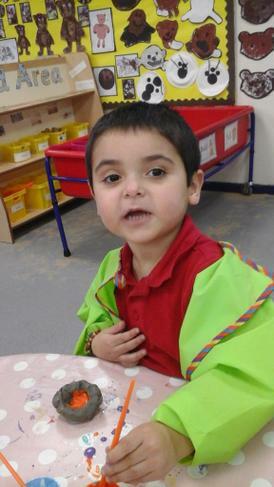 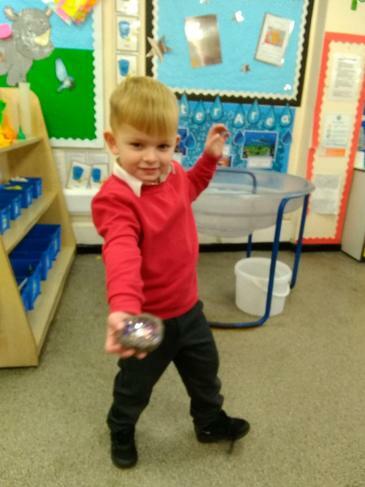 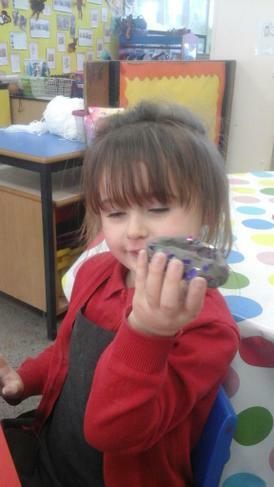 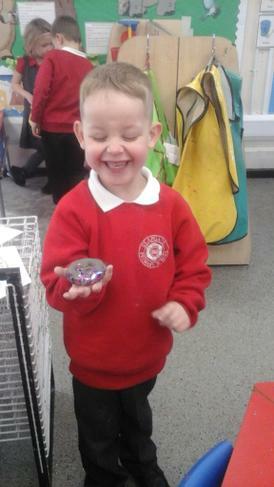 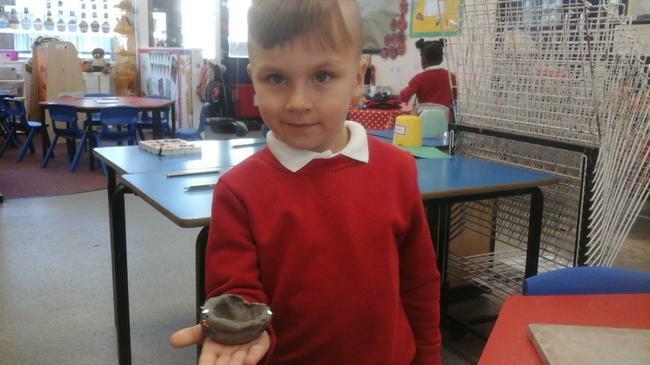 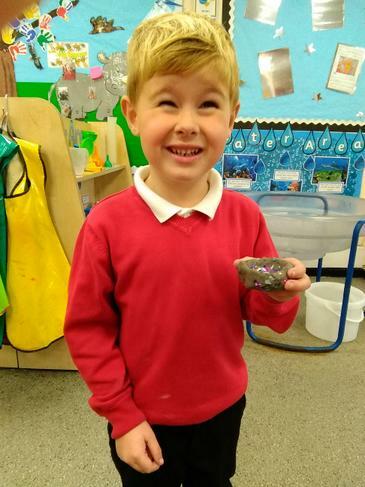 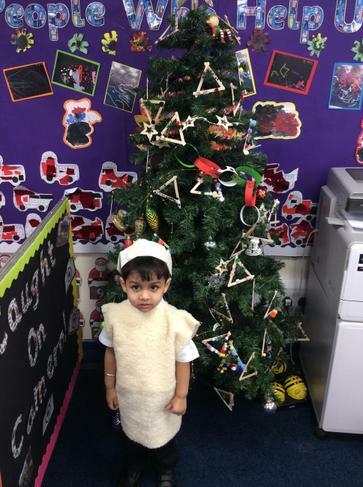 The children in nursery have been helping them to find out all about Diwali and how it is celebrated. 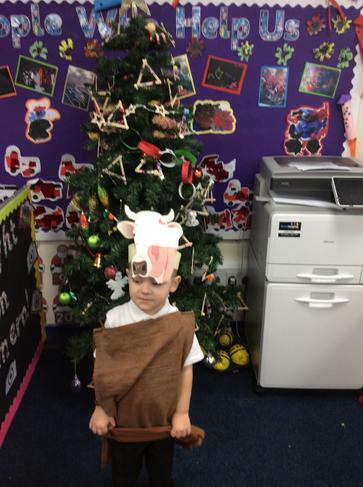 The children listened to the story of Rama and Sita. 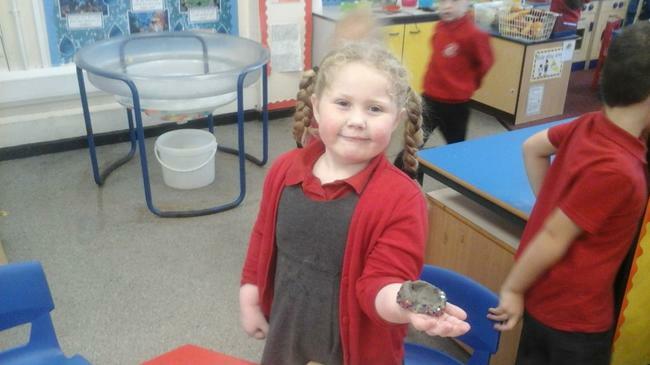 They helped Rama to rescue Sita by building a bridge for him to cross so that he could reach her! 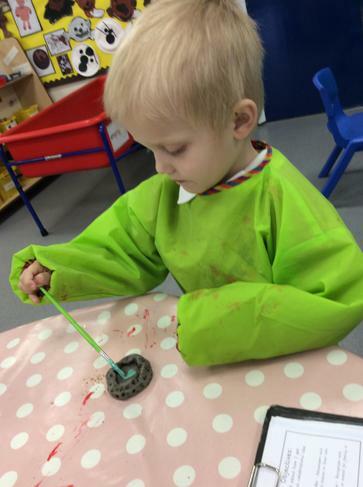 The children worked together using the large construction blocks in the construction area outside and demonstrated excellent team work! 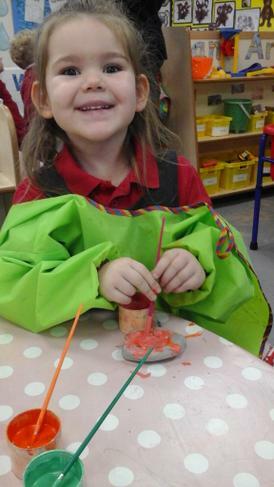 The children then made their own diva lamps to light the way home for Rama and Sita. 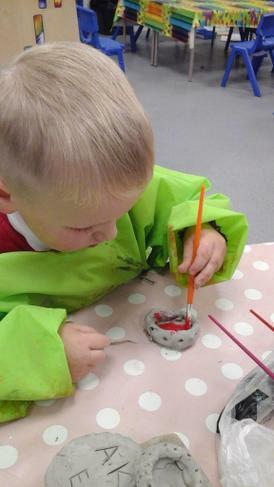 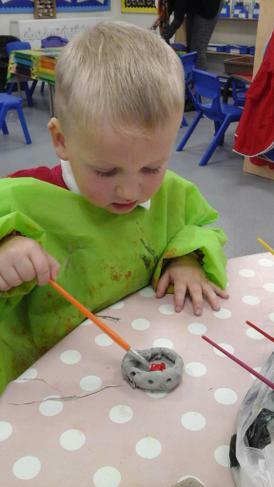 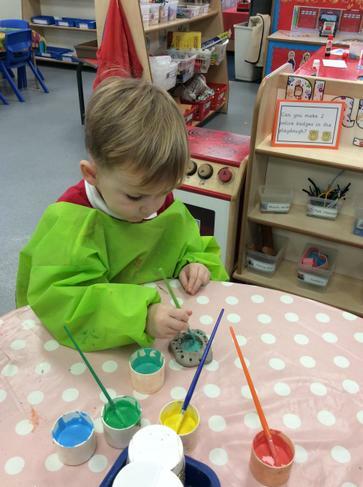 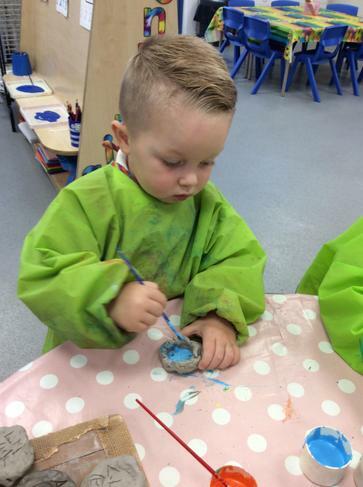 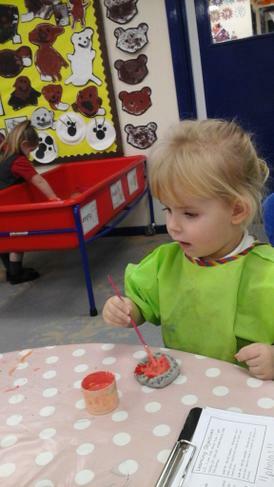 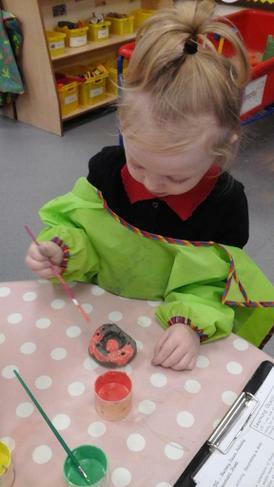 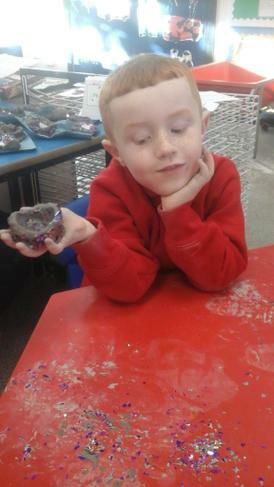 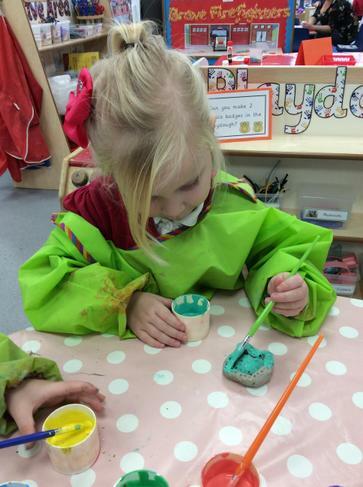 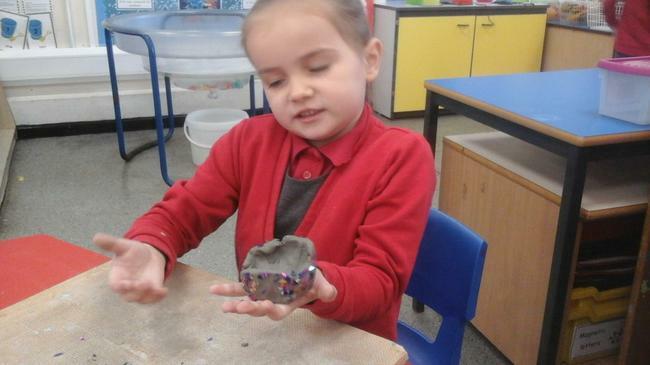 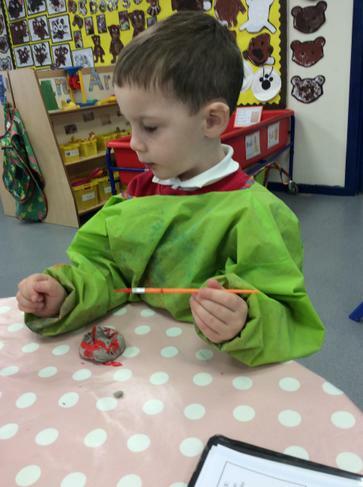 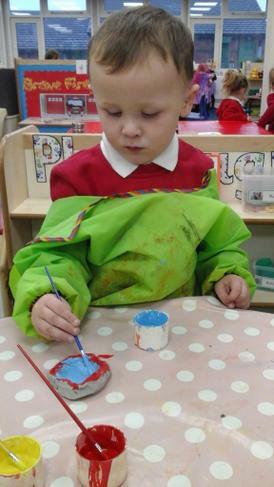 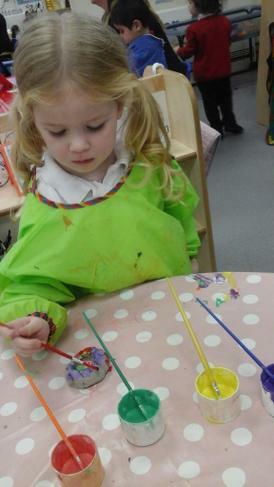 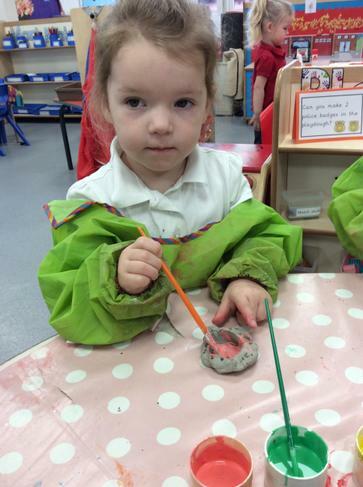 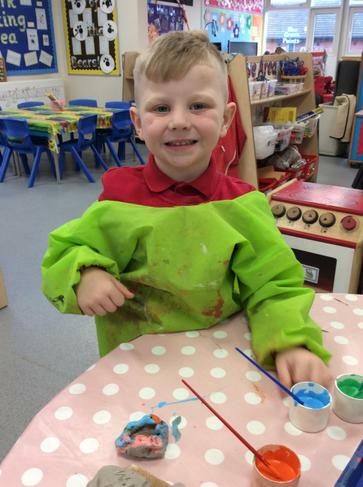 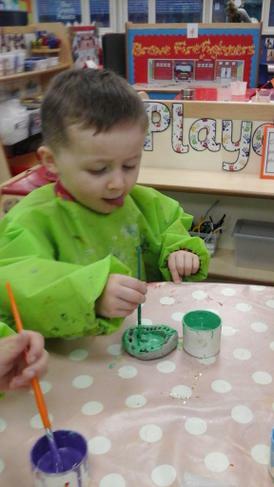 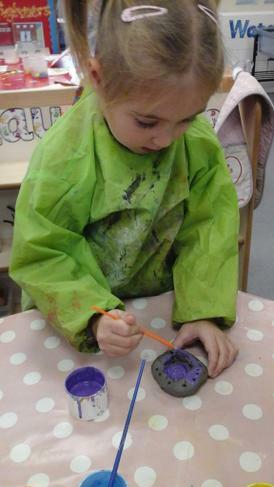 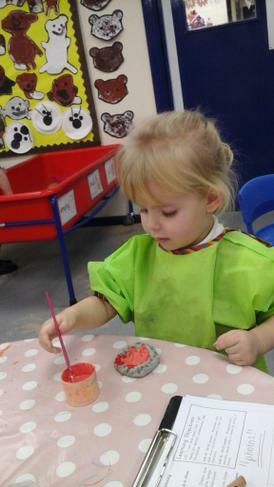 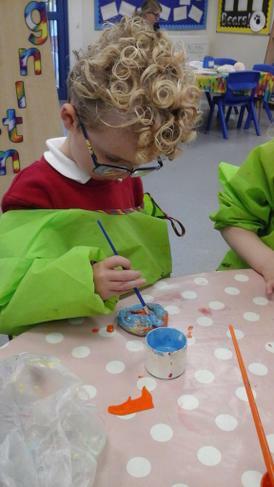 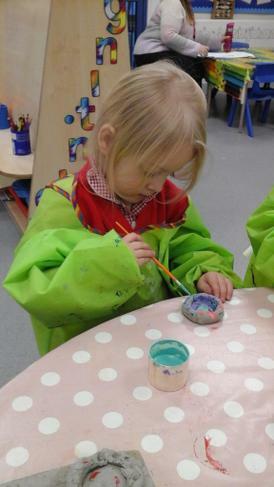 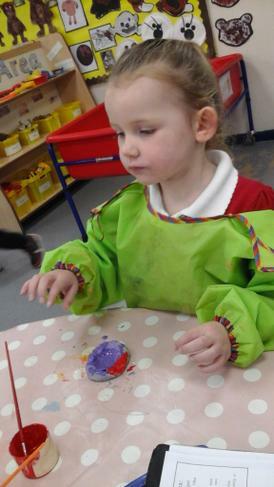 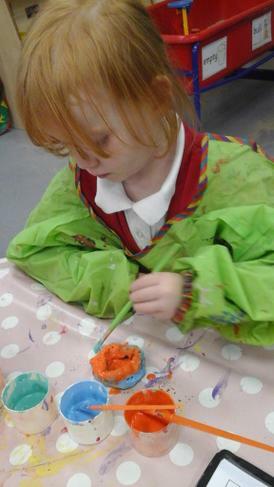 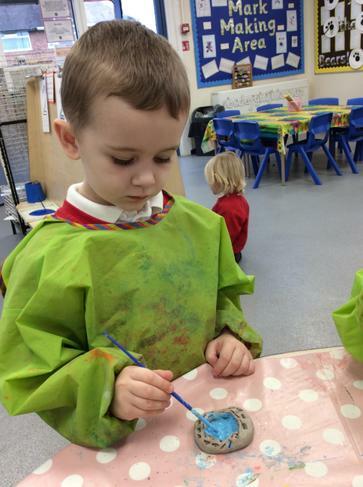 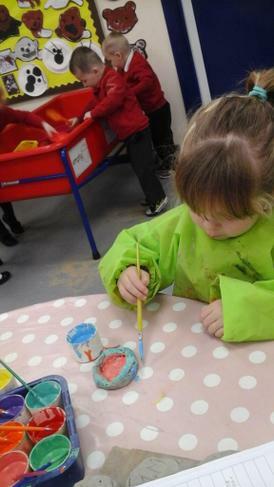 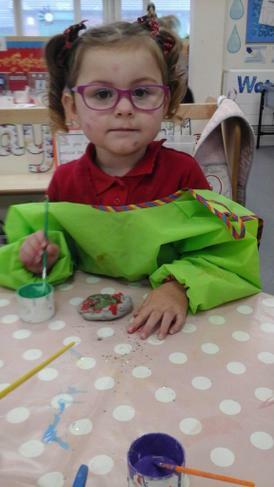 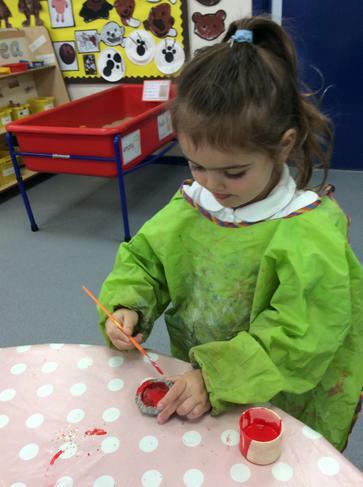 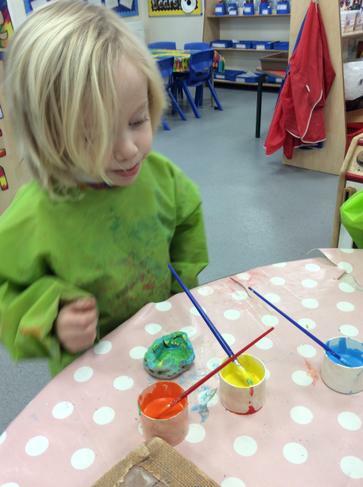 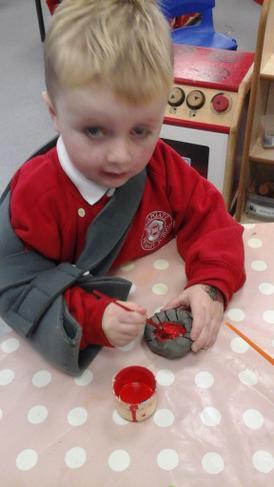 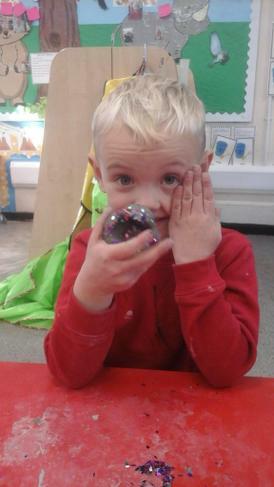 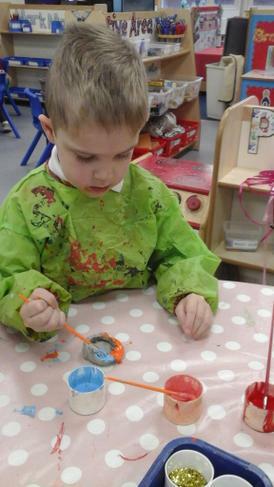 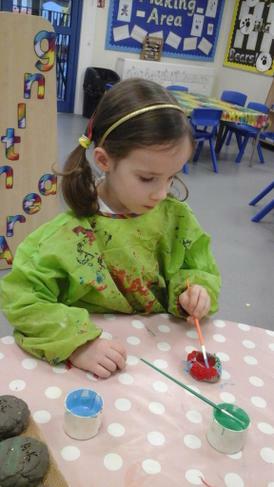 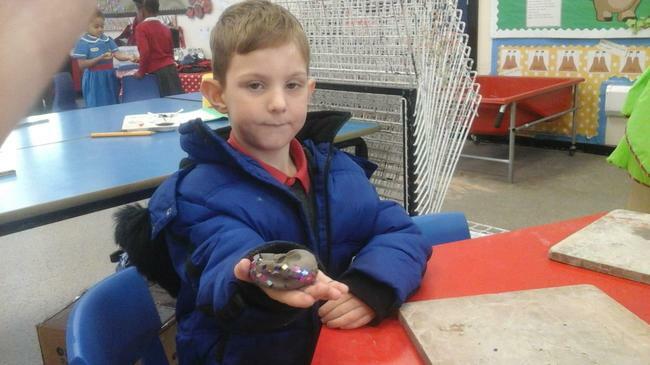 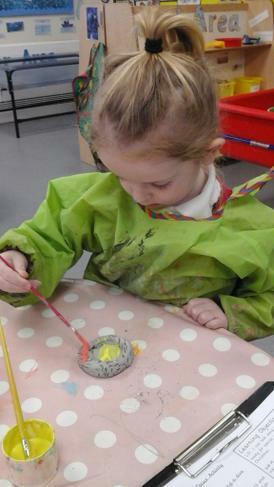 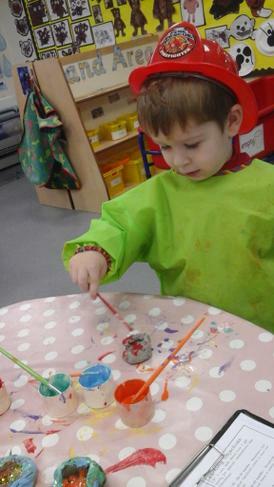 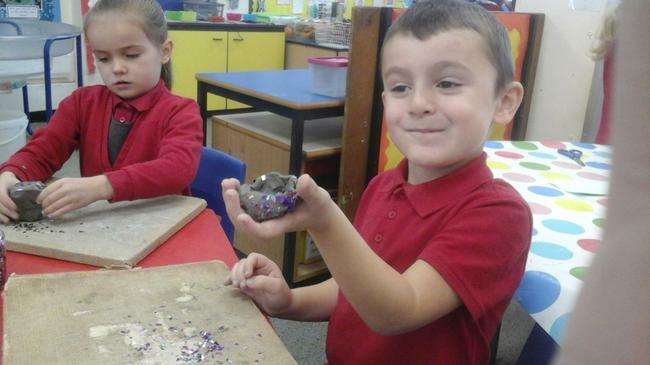 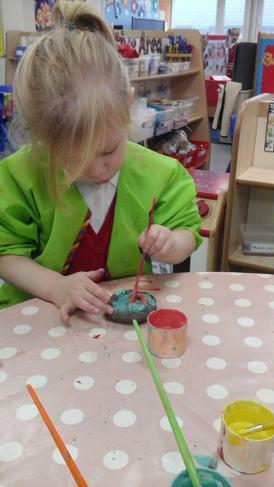 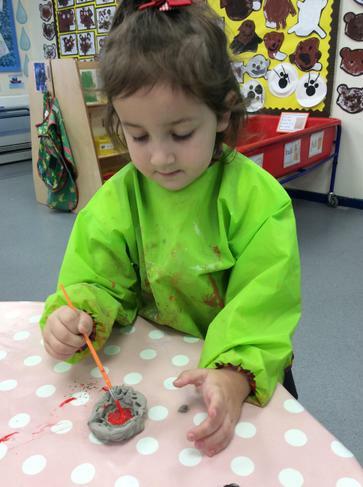 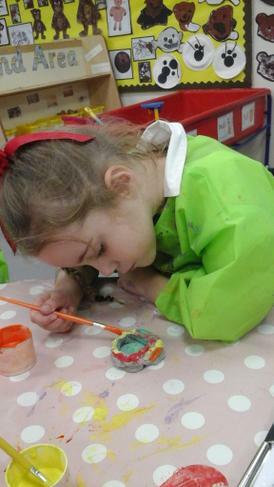 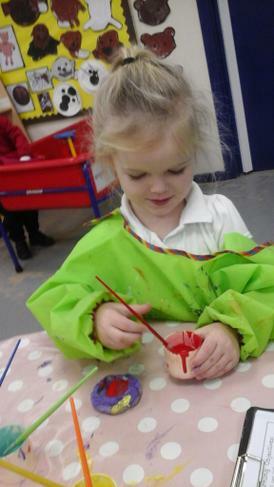 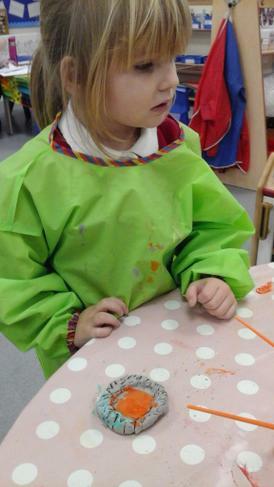 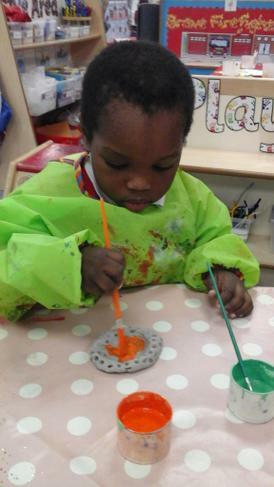 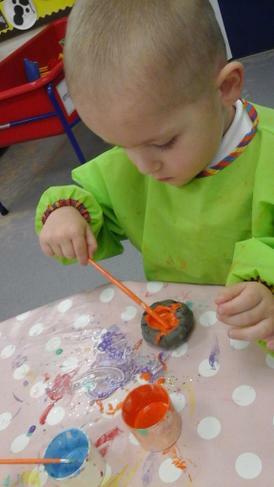 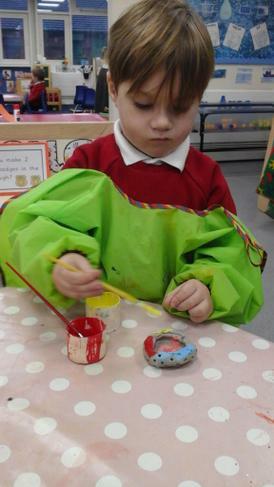 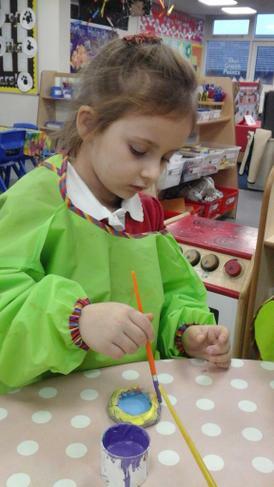 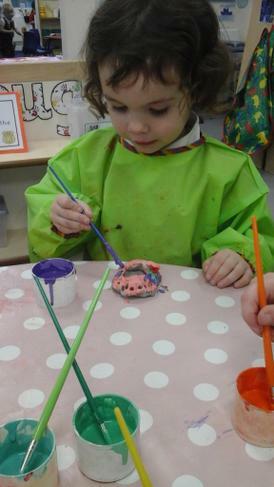 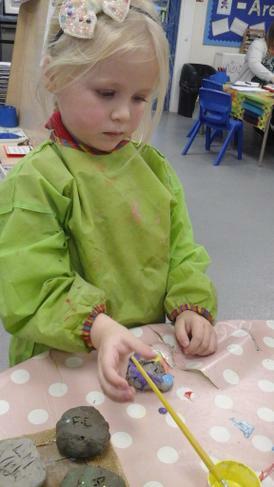 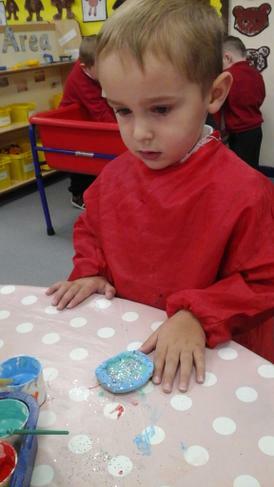 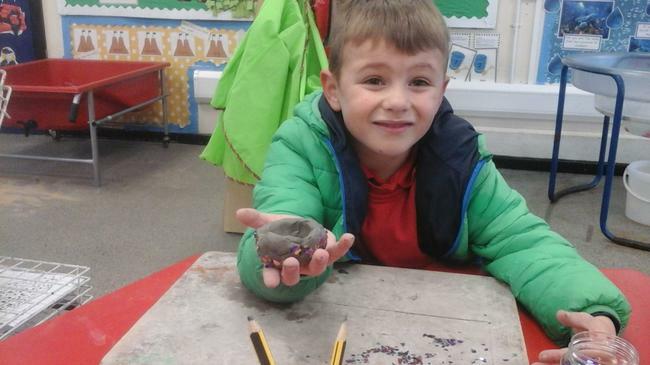 They painted them and added glitter to them to make them bright and colourful. 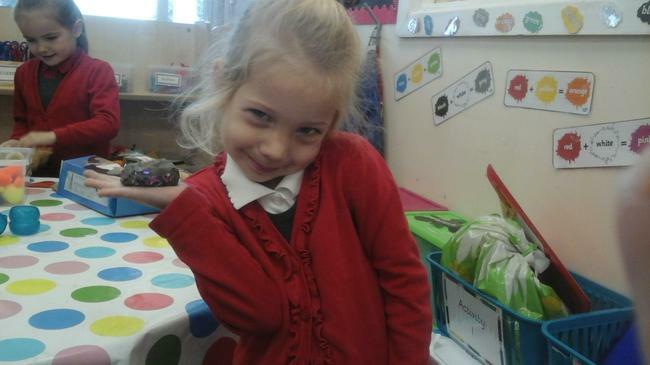 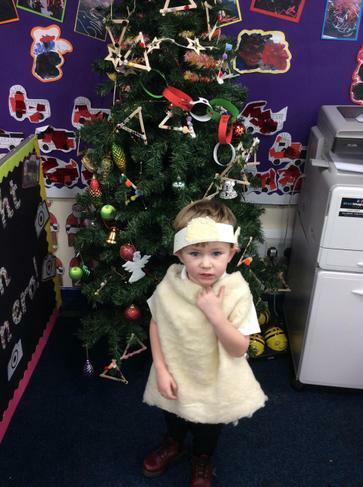 The children then watched some Indian dancing on the interactive whiteboard to celebrate them returning home! 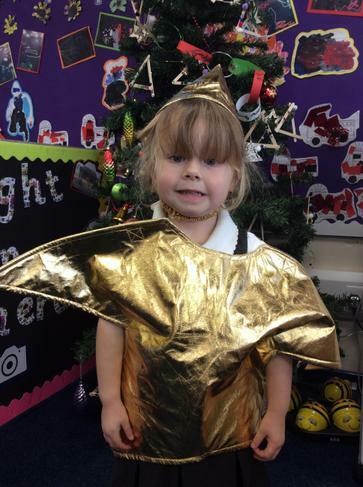 Look at our beautiful diva lamps! 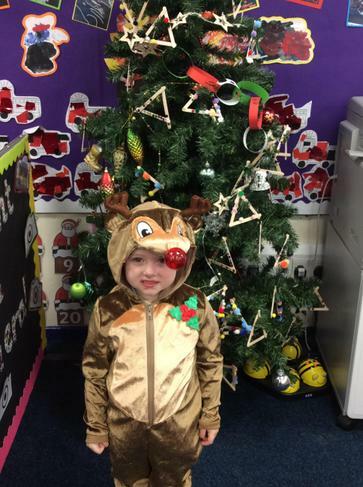 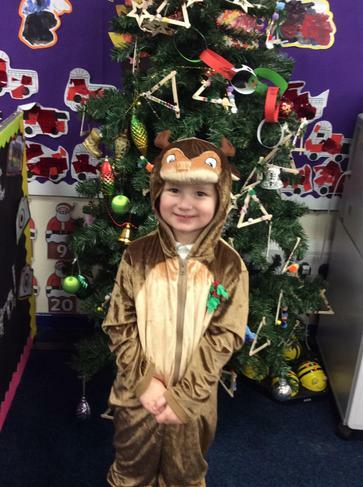 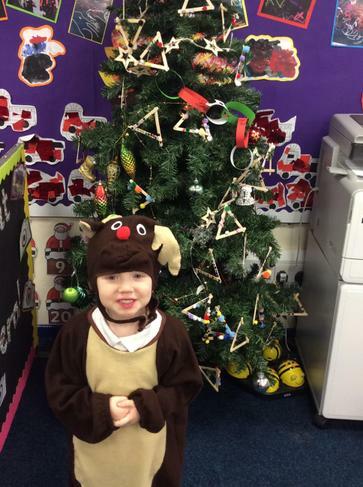 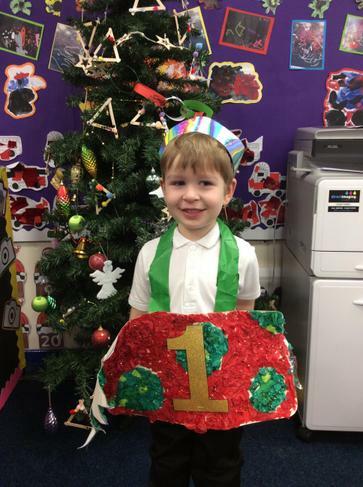 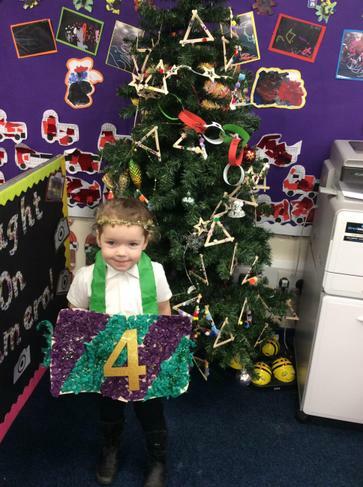 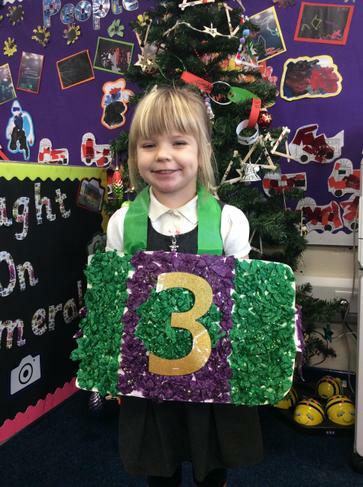 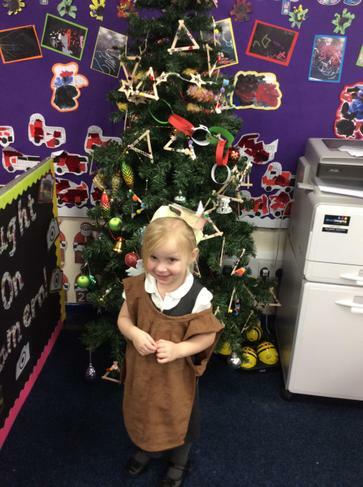 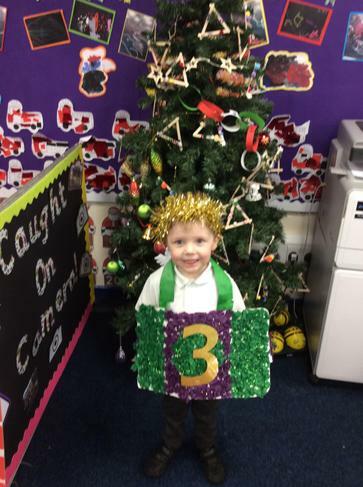 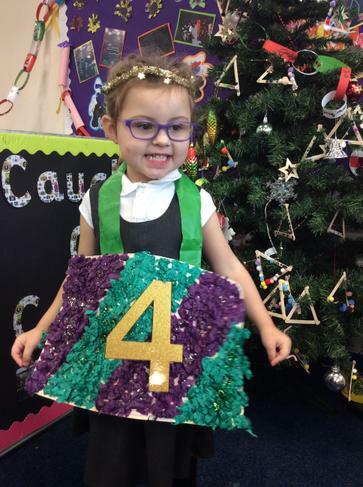 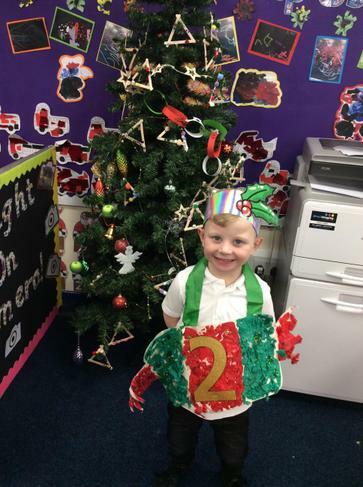 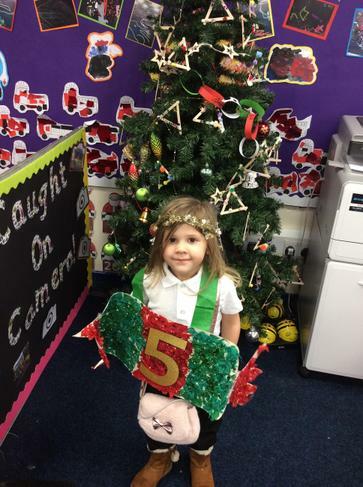 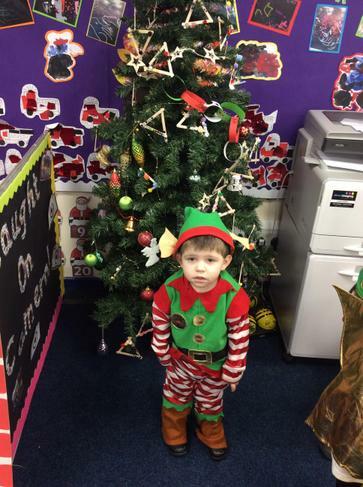 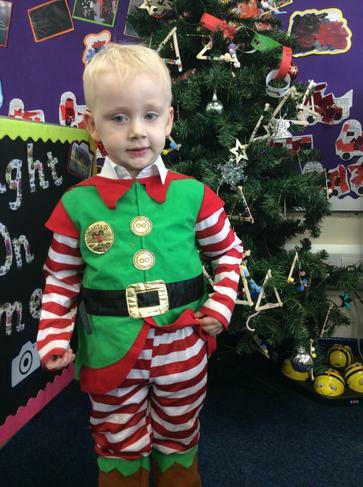 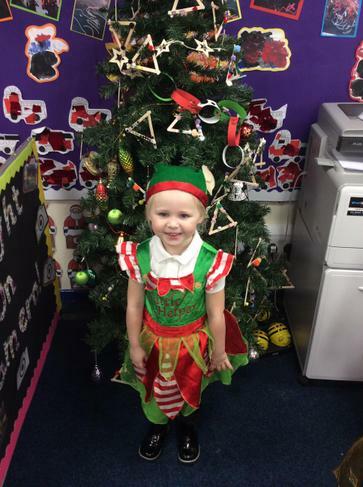 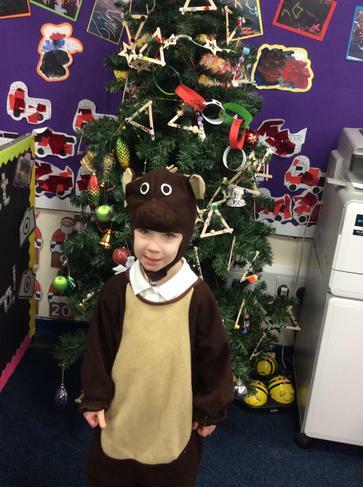 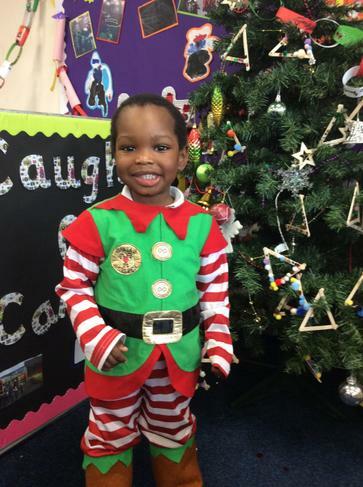 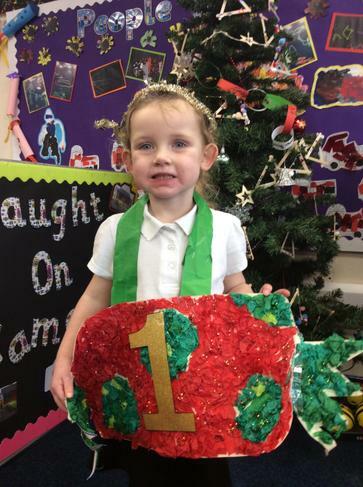 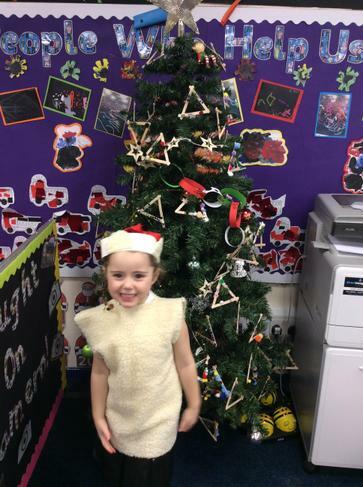 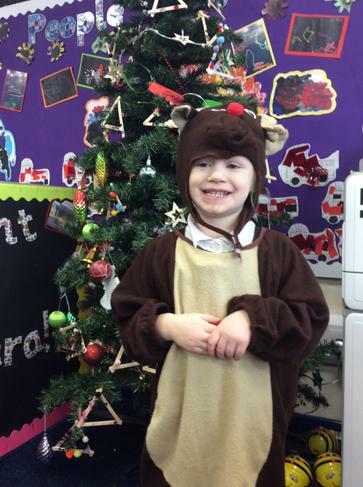 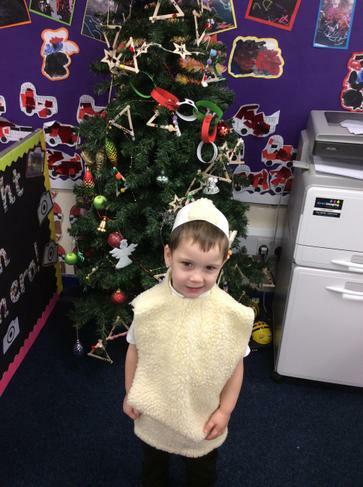 The children continued their learning adventure to find out all about the celebration of Christmas. 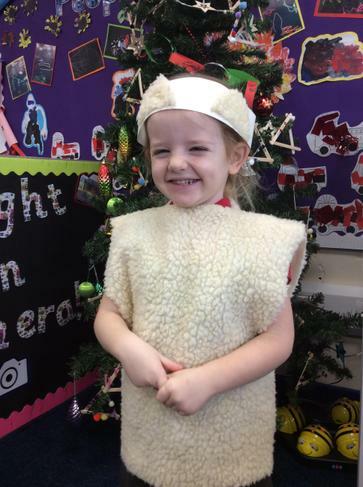 They listened to the story of the nativity and why Christmas is an important time of the year for Christians. The children thought about how tired Mary and Joseph must have been on their long journey to Bethlehem! 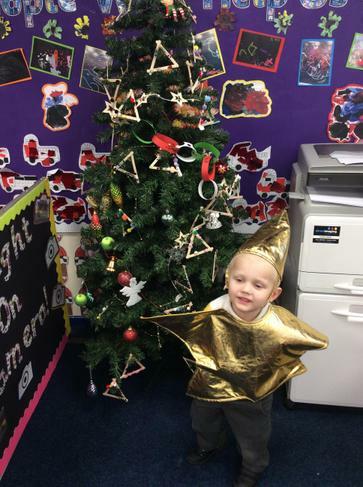 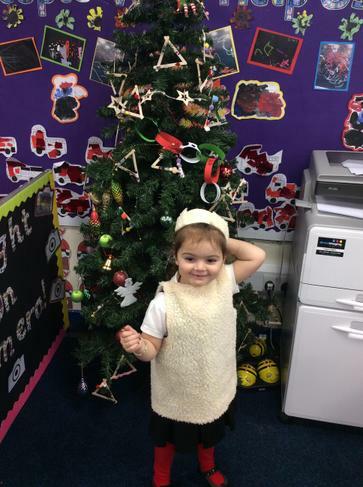 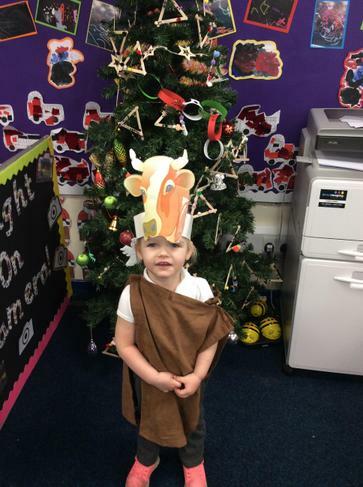 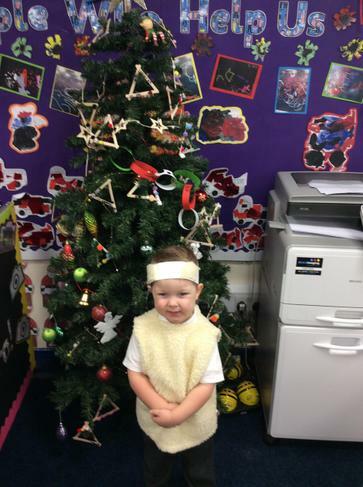 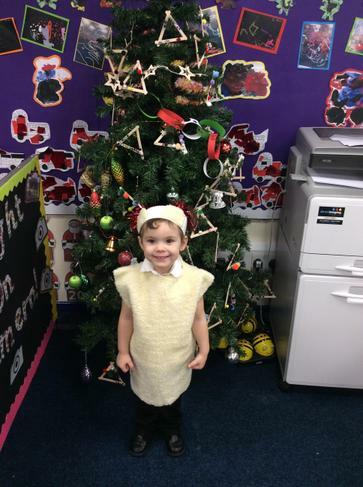 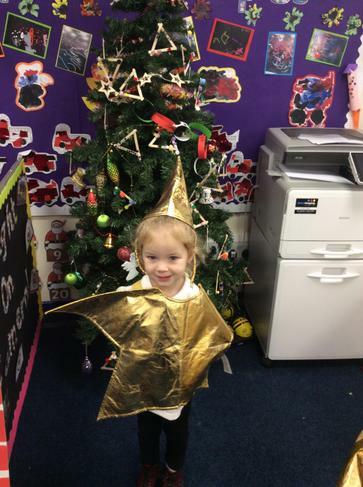 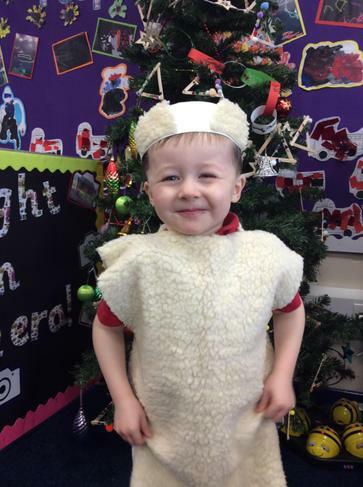 The children also spent lots of time learning all of the nativity songs to the tune of their favourite nursery rhymes. 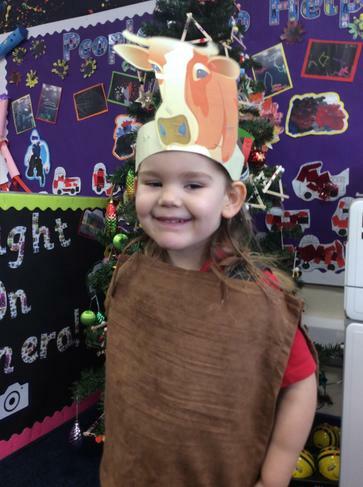 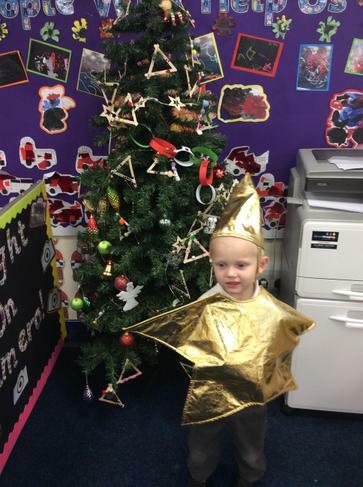 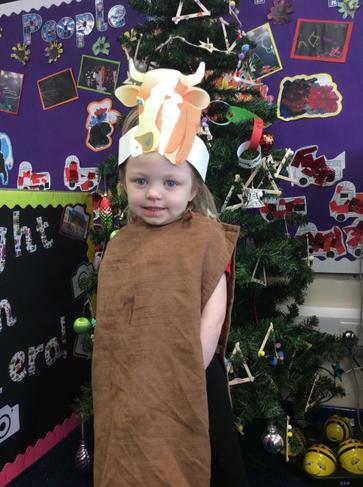 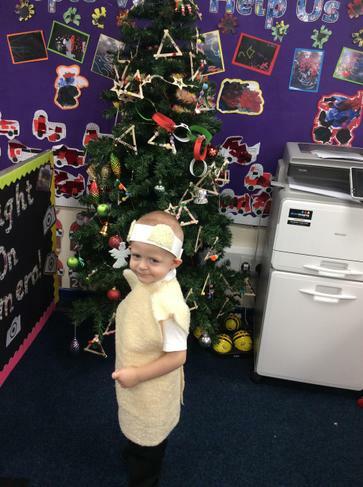 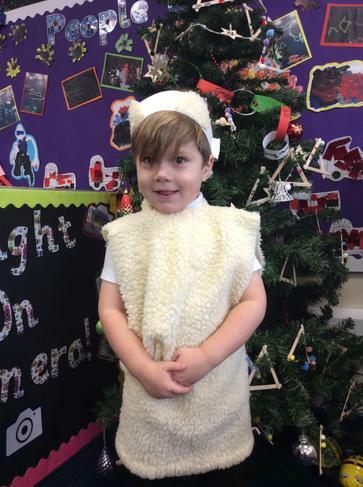 They particularly enjoyed dressing up in costumes for the big performance of the nativity story for all of their special grown ups! 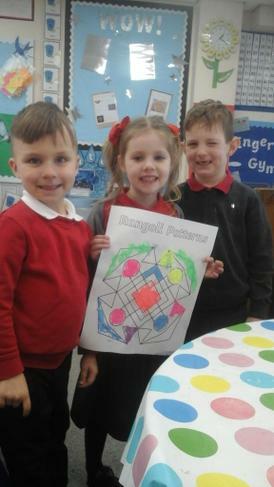 This week in RLS we have been learning all about Diwali. 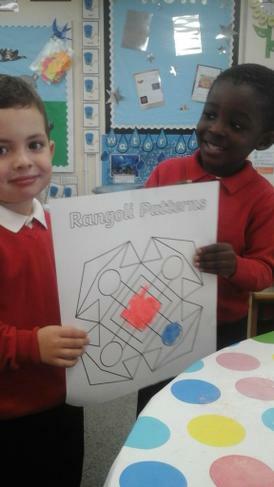 We have talked about why people celebrate Diwali and looked at the story of Rama and Sita. 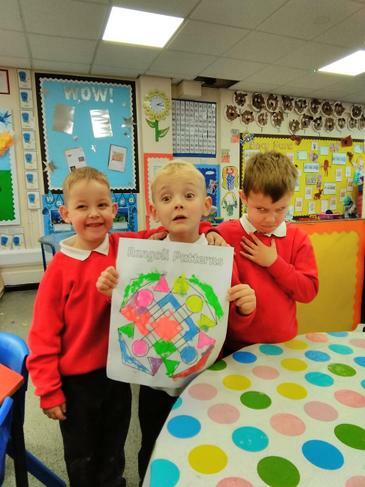 Then we looked at how people celebrate Diwali. 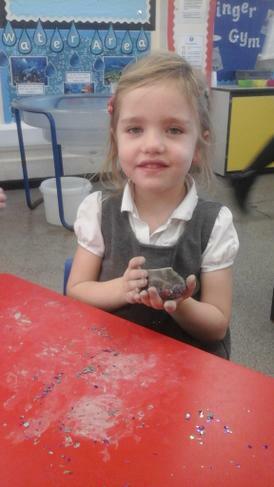 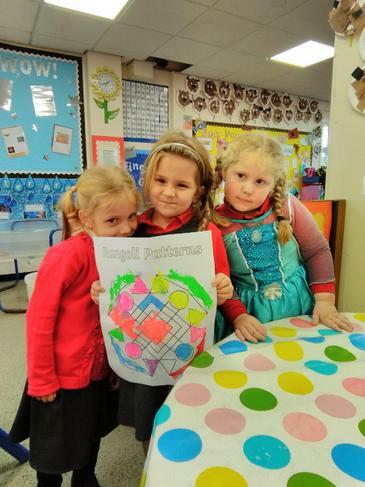 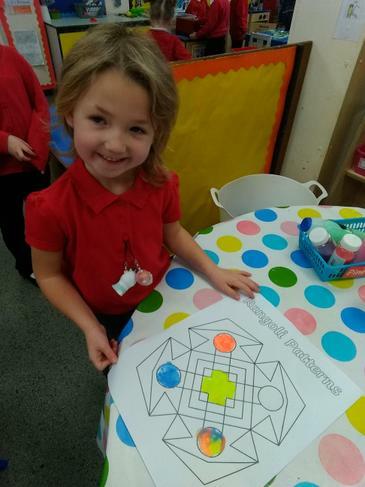 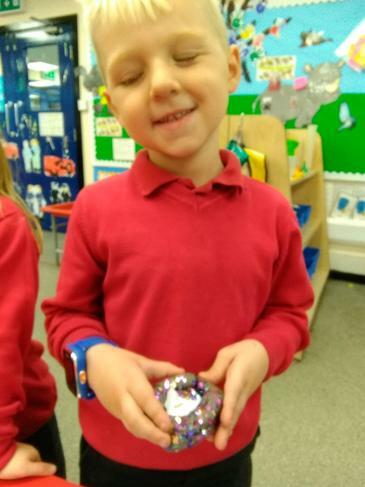 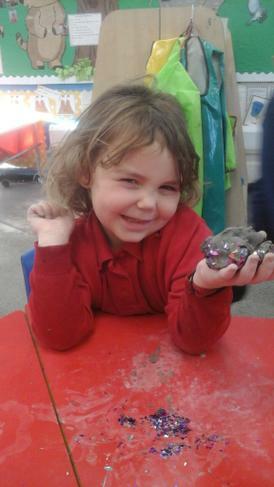 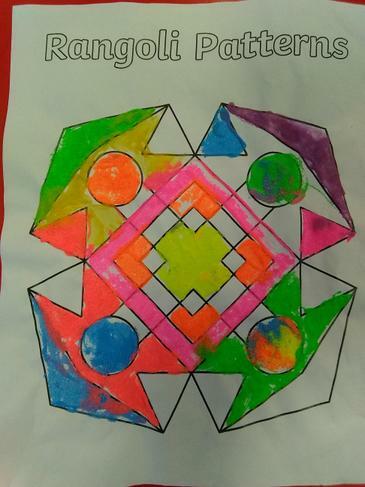 As part of this we have been making our own Diva lamps and Rangoli patterns. 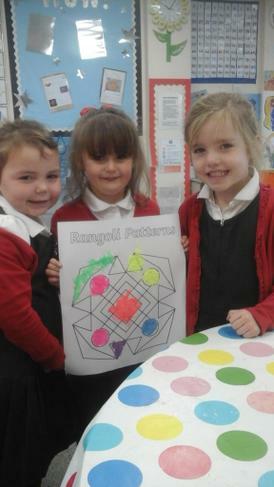 In RFW this week, we have learnt about Diwali - the festival of lights. 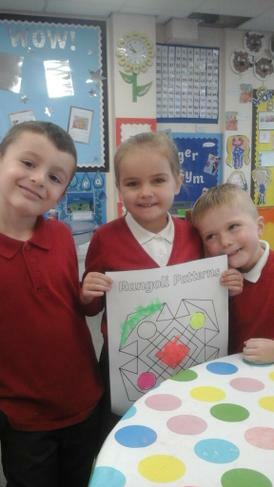 We learnt about the story of Rama and Sita and that people celebrate Diwali as the triumph of good over evil. 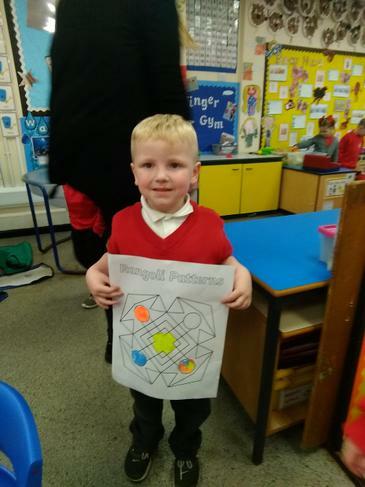 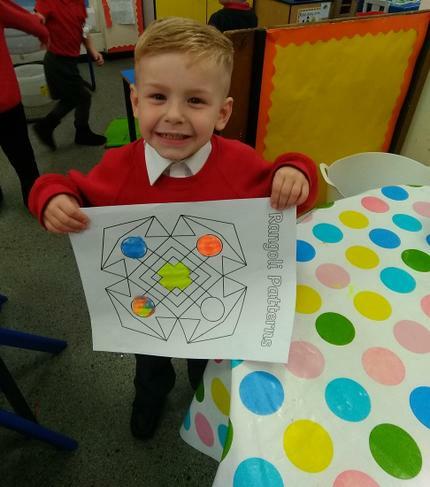 The children learnt about how people celebrate Diwali such as making and lighting Diva lamps, eating special food, making Rangoli and mehndi patterns and spending time with their friends and family. 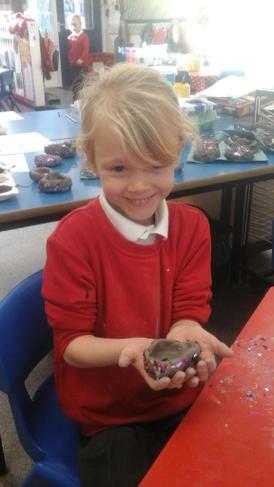 The children made their own Diva lamps using clay and created a class Rangoli pattern. 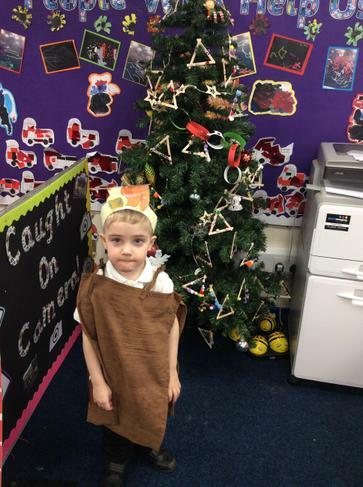 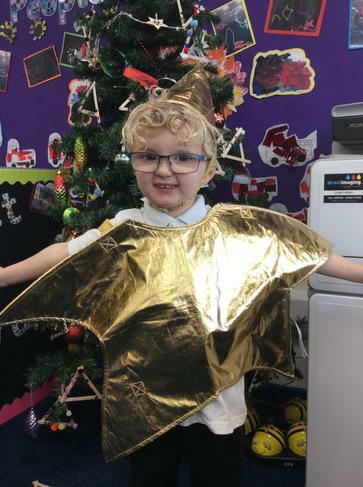 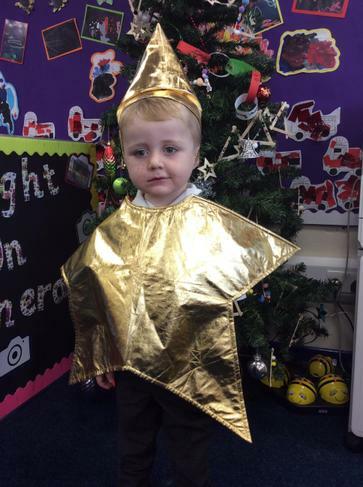 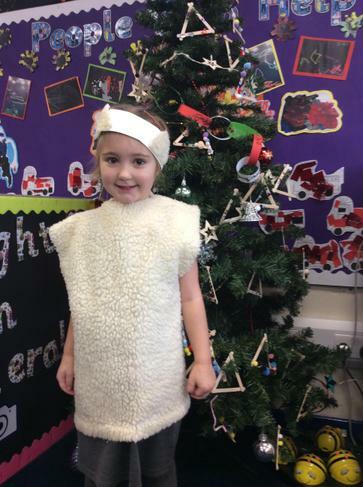 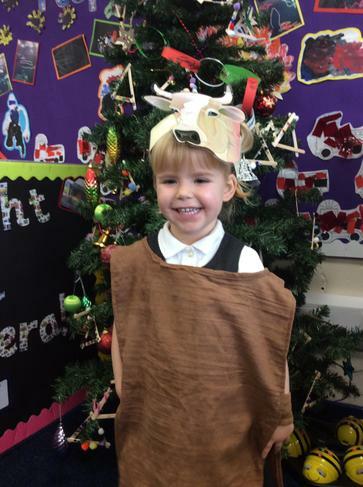 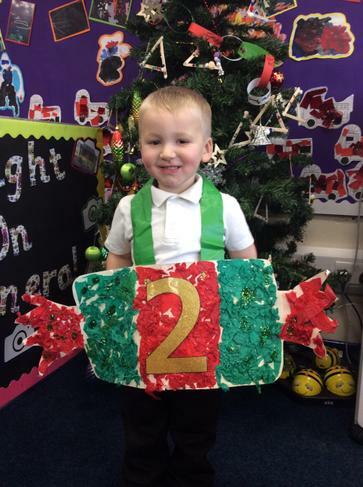 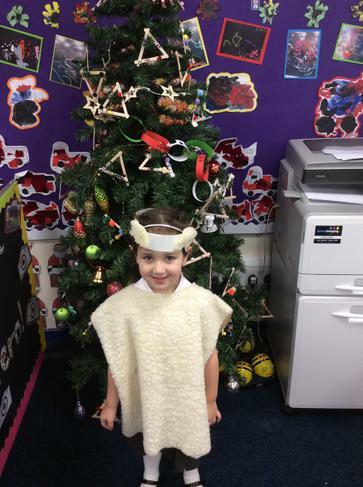 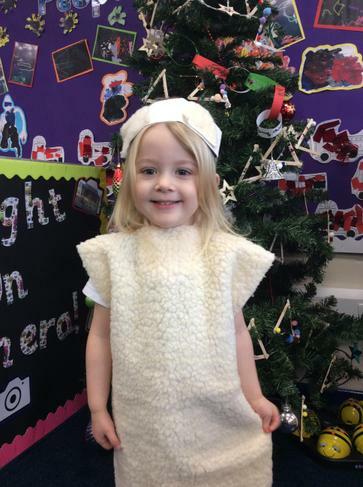 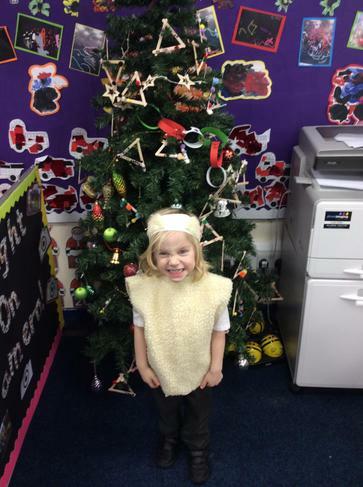 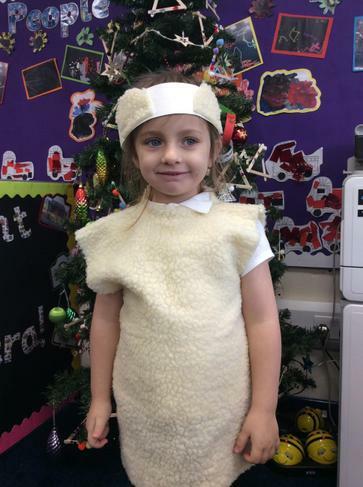 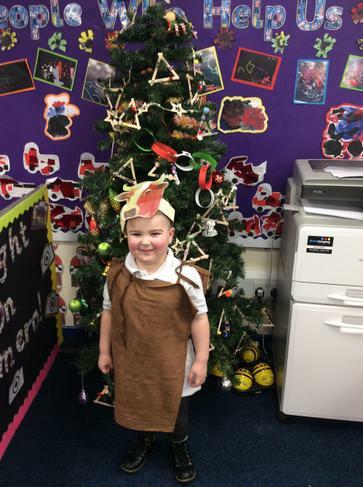 This week in RFW we have been practising our Christmas Nativity. 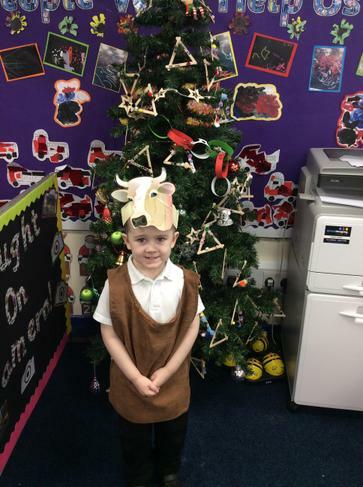 We have read the Christmas story and made a list of the different people in the story.